Home remodeling experts bring you home maintenance services. Dean and Duane Kaufman founded Kaufman Homes, Inc. in 1976. In 2008, the brothers opened a new division to handle home remodeling and repairs. In Salem’s Illahe Hills area, the Kaufmans have built more than 70 custom homes. The communities of Gleneagles and The Villas at Illahe were designed and built by Kaufman Homes. 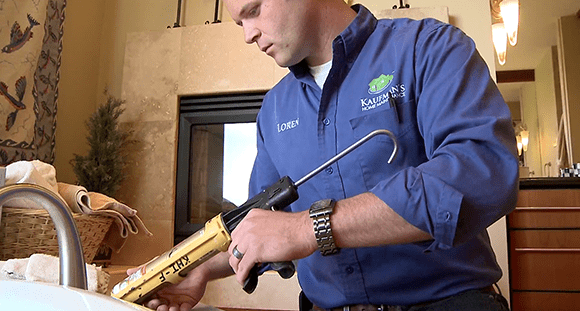 Choose Kaufman Homes when you need true home remodeling experts, and sign up with Kaufman’s Home Maintenance to preserve the value of the home you love. Using years of building and home remodeling experience and a vast network of resources, Dean and Duane have developed a full-service Home Maintenance Program that will earn your trust. Two principles–outstanding customer service and doing the job correctly–built the stellar reputation of Kaufman Homes. Those same values are instilled in the services provided by Kaufman’s Home Maintenance.